Singer Sam Fazio is headlining The Empire Room at the Palmer House Hilton in Chicago to welcome 2015 for a special New Year's Eve celebration. The Palmer House Hilton in Chicago offers grand elegance and is welcoming guests to celebrate a special New Year's Eve to welcome 2015. DJ Brody Jenner will host a special music-filled party celebration at the Palmer House Hilton. Wearing black and clutching a bouquet of flowers, comedienne Phyllis Diller appears to be in mourning outside the closed door of the Empire Room Supper Club Monday, Jan. 20,1976 at Palmer House Hotel in Chicago. The Club ended its 43-year big name entertainment policy with Miss Diller's Monday night performance. 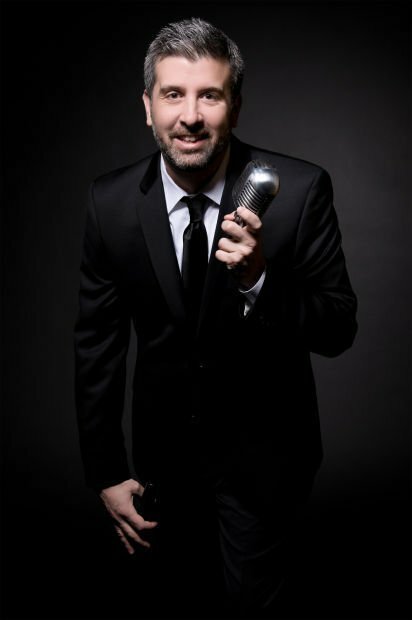 Entertainer Sam Fazio is always booked for New Year's Eve, one of the busiest nights annually for special stage billing. "Guests who are making it a night out have so many choices, but they especially want their New Year's Eve celebration to be something special when they are sharing this one-night that only comes once a year," said Fazio, who is a talent born and raised in Chicago. Fazio's headlining show to welcome 2015 is something extra special this year. The Palmer House Hilton, 17 E. Monroe Street, is opening the legendary Empire Room to the public for the first time since 1976. The Empire Room is one of the numerous locations throughout the hip and historic hotel hosting the Big Night America's Chicago New Year's Eve Party: Big Night Chicago. On Wednesday, Dec. 31, from 9 p.m. to 2 a.m. Velvet Rope VIP guest tickets and tables, a package that includes premier table service, access to all party areas and exclusive access to special entertainment including the music of Fazio in the storied Empire Ballroom are already the hottest ticket in town. Velvet Rope VIP tickets are currently $259.99 and will rise to $359.99 as the night approaches. According to Palmer House Historian Ken Price, when the Empire Room was first opened in 1925 as an elegant dining room, it immediately brought in large crowds wanting to experience an unforgettable evening. While the Empire Room continues to maintain the elegance that identified it as a premiere café society nightclub of days gone by, Price said in recent decades, the space has been booked for private events and functions rather than ticketed events open to the general public for New Year's Eve. The room's glamorous design which can immediately be seen as a staircase inspired by the Paris Opera leads directly from the lobby of the Palmer House to the Empire Room. The 20th century's great entertainment luminaries from Tony Bennett to Carol Channing and Liberace have all performed at the Empire Room. In addition to the Velvet Rope VIP's celebrating in the Palmer House, the Big Night Chicago New Year's Eve party includes Celebrity DJ Brody Jenner of TV's "The Hills," "Keeping Up With The Kardashians" and "Bromance fame." He's flying into Chicago from Malibu to spin with William Lifestyle. Other confirmed DJs include Steve Smooth, Pat Premier and Pete Augusta. The live bands slated to perform covering various genres of top hits are Iron Dragon, The Breakfast Club and The Shagadelics. 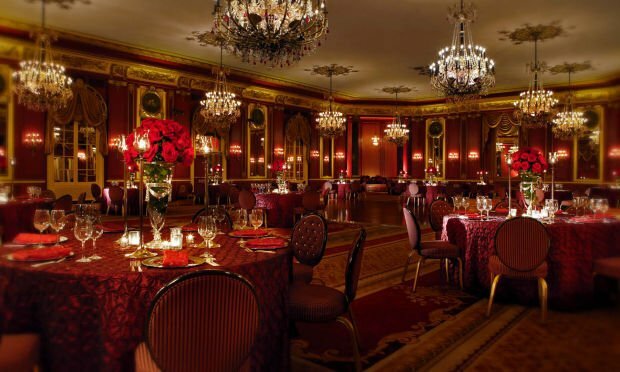 "The hotel has hosted and produced our own New Year's Eve celebrations in our ballrooms in the past," said Price, who has worked at the Palmer House for 33 years. "For this year, we decided to work with a promoter to have a really special event that uses all of our available spaces." The promoter, HiBall Events, is one of America's leading event production and promotion companies. With over more than 20 years of experience, founder Rich Shea and the rest of the management team at HiBall Events have produced thousands of events from coast-to-coast, including Big Night New Year's in DC, Baltimore, San Diego and New Orleans; BlocktoberFest; and large bar tours in cities across the US. As for the Palmer House's history, the legendary AAA four-diamond rated hotel has been hosting visitors to the Chicago Loop for more than 140 years. Today, the Palmer House Hilton continues to thrive in the heart of the theater and financial district, just steps from the Art Institute, Millennium Park and State Street shopping. The original hotel, which did burn down in the Great Chicago Fire, was rebuilt by owner Potter Palmer after the fire. , features 130,000 square feet of function space with more than 77 meeting rooms, seven ballrooms and two exhibition halls. Lockwood Restaurant & Bar, located just off the lobby, is also a favorite gourmet gathering space of guests, while small plates and classic cocktails are served in Potter's. As for the final big name headliner to play the Empire Room before it closed in January 1976, it was legendary comedienne Phyllis Diller. "Phyllis loved her connection to Chicago and her many years playing the Empire Room," Price said. "Every year at this time, she always remembered me and the hotel, by sending along a card and gift about our shared memories." HOW MUCH: Three different packages available: General Admission, VIP and Velvet Rope VIP: General Admission tickets, are currently $109.99 and will rise to over $150 as the night approaches, consisting of all-inclusive bars, food, party hats and tiaras, and access to five party areas and ballrooms (including four dance floors) VIP tickets, includes general admission plus upgraded top shelf drinks, heavy hors d’oeuvres buffets and special seating areas. VIP tickets are currently $159.99 and will rise to $199.99 as the night approaches Velvet Rope VIP tickets and tables, includes excellent table service, access to all party areas and exclusive access to special entertainments in the storied Empire Ballroom. Velvet Rope VIP tickets are currently $259.99 and will rise to $359.99 as the night approaches. FYI: For tickets, show information, and an updated list of confirmed acts, visit BigNightChicago.com.